I made the "Christmas Tree" from needle like cutouts that I cut with my Silver Bullet Professional Cutter...they cut like butter out of regular scrapbook paper and no tearing! LOL And the bicycle is a cut file from SVGCuts.com. Grace was brought into my software (SCAL) and cut out with the Print & Cut method on my SBPro and then colored with Copics. I hope you will stop by the rest of the Design Team's blogs and leave some love...their creations are awesome, as always! I used my Silver Bullet Professional electronic cutter and SCAL software to do a print and cut for my Pilgrim Corinne and then colored her with my Copics. I used papers from MME Stella Rose 6x6 pad and brown card for the base. I have her cut and colored, but I'm not happy with it! I'm so happy you have stopped by today, and I hope to see you again soon! Hello all, today I'm so excited to showcase another of the fabulous Alice in Wonderland Steampunk Style digis by Abigail Larson available exclusively at SBS. The images from this collection are nothing short of amazing! Today I am showing Alice Portrait. Here's a close-up of Alice...isn't she just sweet! Of course, she's colored with my Copics. I've added some gorgeous roses from Wild Orchid Crafts, metal additions from Bead Landing and that beautiful hand dyed (by me -LOL) seam binding. The doily was cut with my Silver Bullet Professional electronic cutter and the file I used is a doily file from Monica's Creative Room. Remember we have inspiration going all month long at Simply Steampunk so be sure to visit often, and don't forget our current Party Invitation Challenge that runs through December 5th. You can use any image as long as it's in the Steampunk Style. Hope to see you there. So I found in my digi stash from SBS (YES, I said stash...) a fabulous girl called Brittany and she is perfect for my granddaughter! Thank you for stopping by and spending a few moments with me. This fabulous image was provided specifically for this hop by the very generous and talented Tamara van Wijk from the Stamping Chef and you can actually purchase this beauty here (and she will be 20% off until Wednesday, Nov 13th). And Corinne was the instigator, coordinator and backbone of this fabulous hop...she really has a heart of gold! Thank you, Corinne! Next up is Wendy, go take a peak at her creation. If you get lost on the hop - here is the complete line-up. Today I am showing The Mad Hatter. Here's a close-up of the Mad Hatter. Of course, he's colored with Copics to match the designer paper from Bo Bunny (Weekend Market Collection). I've added some gorgeous pleated brown satin trim, made into a "rose" type of shape with some typical sewing implements. I have also added a zipper to each side of the digi image. and why early diagnosis is so important for PH patients. Right-heart catheterization is one of the most accurate and useful tests to get a definitive diagnosis for pulmonary hypertension, and it is required to confirm diagnosis. I am honored to be a participant in today's PHun 4 PH Awareness Blog Hop. If you have arrived from Karen's Blog then you are in the right place. However, if you just arrived...why don’t you start at Betty's Blog, so you don’t miss any of the amazing creations. Since the "color" of Pulmonary Hypertension is periwinkle - I chose to add bright yellow, pink and green to bring this beautiful image to life. Join in tomorrow as well for more PHun PHacts and chances to win some awesome prizes!! We will be having a challenge as well beginning on Sunday the 10th (tomorrow) ending on Saturday November 16th - Grand Prize - Theresa Collins Stamp Maker. It will begin at 6pm EST on the Papermoments Blog. 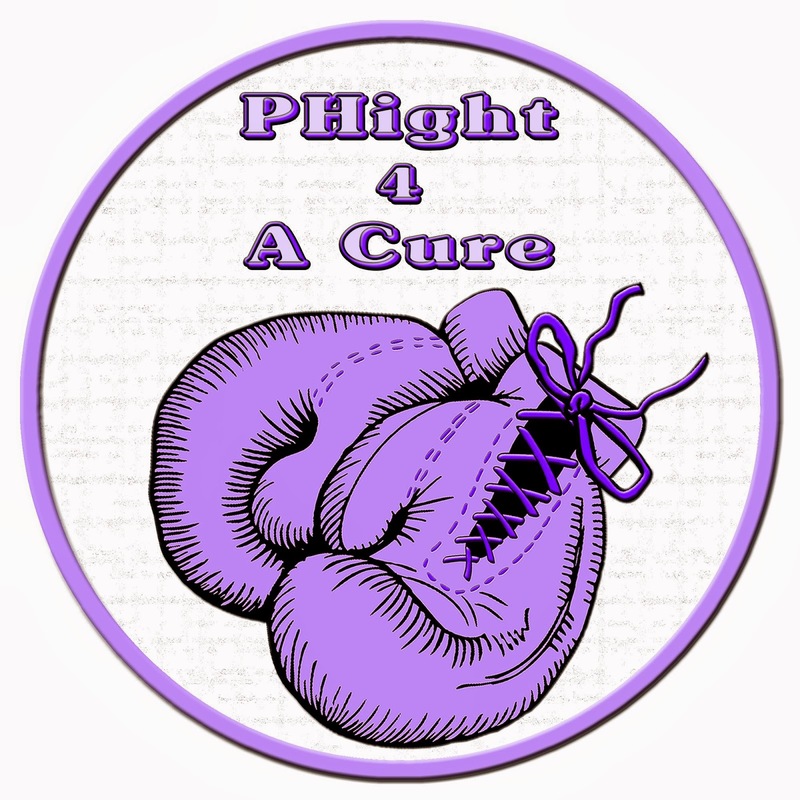 **Challenge rules - any project with an awareness ribbon attached supporting Pulmonary Hypertension which is periwinkle or a shade of purple...stamp, die cut, sticker, ribbon. Thanks for hopping with us today. The hop will end on Saturday November 16th at 11:59 PM EST. Winners will be posted on the Papermoments Blog on Saturday November 23rd. Be sure to leave comments along the hop for a chance to win prizes! Now head over to Emily's Blog to see what she has created.